One of my favorites is Emerald city. It’s about Dorothy Gale, a young woman from Lucas, Kansas. One evening a large tornado picks her car and deposits her in the faraway land of Oz. Her presence in Oz sets of a series of magical and disastrous events. Dorothy meets new people (including witches, a soldier, a shy little girl and many more mysterious beings) on her way home. She believes that the Wizard of Oz can help her to go back to Kansas. As you probably guessed by now, the show is based on the Oz book series written by L.Frank Baum. And yes, Toto is also part of this story! Although it is such a familiar story, the show is completely new and full of surprises. At the end of each episode, you’ll learn more about the characters and Dorothy’s purpose in Oz. The setting of this show is quite nice. The story mainly takes place in Emerald City, the capital of Oz, which borrowed its style from Park Güell in Barcelona. Gaudi’s style fits the renewed story. However, the filmmakers could have done a better job at hiding Park Güell. It’s too obvious at some moments. Oh well. A beautiful setting and a good story. What else do you need? 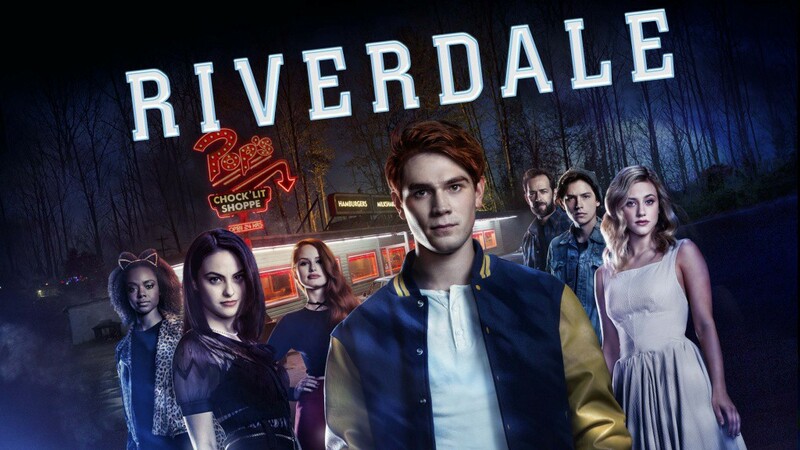 Riverdale is a teen series based on the characters by Archie Comics. It’s not the first time that the Archie characters have been featured in television. Jughead Jones and Josie and The Pussycats probably ring a few bells. The producers of Riverdale kept true to the comic book stories but added romance and mystery. The first episode starts with the tragic death of Jason Blossom on the Fourth of July. The show has been described as a mix of Gossip Girl and Pretty Little Liars. I do hope that we don’t have to wait 7 seasons to get answers. Binge watch a show in 2017. Check. Beyond is a drama television series about a boy that wakes up from a 12-year coma. After being awake for a couple of hours, Holden is confronted with the real world and his new powers. Apparently, when you go into a coma your mind travels to another world. A mysterious, dark world. Despite the fact that Holden has been asleep for twelve years, bad people are after him and his powers. Good news! Beyond has already been renewed for a second season. If you’re looking for something fun, Powerless is what you need. For once it’s not about superheroes, but about the people behind them. 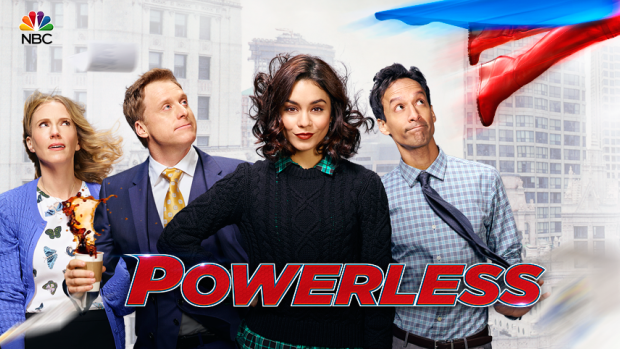 Powerless follows the staff of Wayne Security where Emily Locke (Vanessa Hudgens) is appointed as Director of Research & Development. It’s the first sitcom series set within the world of the DC Universe. Emily and her team are responsible for making products to protect ordinary humans from the collateral damage of superheroes and supervillains. If you’re tired of watching PLL, this might come in handy. The show is based on the novel Thirteen Reasons why by Jay Asher. Clay Jensen returns home from school to find that he has received a mysterious package. The package contains thirteen cassette tapes recorded by Hannah Baker, a classmate who recently committed suicide. In these tapes, Hannah explains that thirteen people are to blame for her depression that ended in a tragic way. The tapes must be passed on, in a particular order, to the thirteenth person. If the tapes do not reach the last person, an anonymous friend will leak the second set of tapes to the entire school. Don’t mess with a deceased last wish. All episodes are set to be released by the end of March 2017. Still Star-Crossed is Shondaland’s latest drama series. This series is also based on a book (Still Star-Crossed by Melinda Taub). It’s actually the sequel for Shakespeare’s Romeo and Juliet. To end the feud between the two families, Juliet’s cousin is forced to marry a Montague. Shakespeare’s story was just the start. I kept the best for last. I’m already in love with this show. For those of you who’ve watched The 100, Lincoln (Ricky Whittle) is the main character! Yes, Ricky Whittle is back. Now that I have your attention, let me tell you more about the plot. The Old Gods of ancient mythology are living among us but their powers have waned as their believers have decreased in number. Wednesday, who is in fact an incarnation of Odin, is recruiting the Old Gods to fight the New American Gods. Who are these New Gods then? Well, they’re manifestations of modern life and technology such as modern means of transport, Internet and media. Can you imagine Odin fighting the Internet? The show will air by the end of April. Can’t wait? You can always start by reading the book with the same name by Neil Gailman.